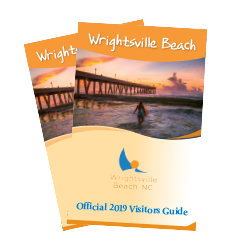 Another year has come and gone, ringing in a new one with exciting offerings from newly renovated accommodations and restaurants to water excursions at Wrightsville Beach. The Blockade Runner Beach Resort is completing a redesign and renovations that will provide an elevated experience for guests staying at the legendary resort. Guests will encounter a redesigned lobby and restaurant, renovated balconies and oceanfront and harbor rooms, and new menus. In addition to the changes in scenery, the Blockade Runner will offer enhanced team building programs featuring kayaks, sailing, yoga, volleyball and an oceanfront firepit. The resort will reopen in the spring. You’ll notice changes at the Holiday Inn Resort Wrightsville Beach, too. The full-service hotel will feature upgraded event space and guest rooms, as well as welcome a new chef and menu items. Offering all suites with private oceanfront balconies, Shell Island Resort is completing renovations and welcoming back guests to enjoy the view this spring. Completely new to the scene is Adapt Kitchen & Juice Bar. Located inside the famous Robert’s Grocery, the hot spot serves delicious and nutritious smoothies, wellness shots and elixirs, fresh juice, coffee, tea, espresso and baked goods. Consider it a perfect place to stop by to be “living healthy, living coastal” while on your getaway. Make a night in after a day of adventure and pick up a delicious steam pot with your choice of seafood, meats, veggies and homemade spices from Topsail Steamer which opened its doors in Wrightsville Beach. Oceanic Restaurant and South Beach Grill are soon to reopen their doors with a revamped look. For an oceanfront dinner, Oceanic Restaurant provides guests with a meal on the pier and some sundown music at night. Intracoastal Waterway views can be enjoyed at another favorite spot – South Beach Grill - that is housed in the island’s first bank. The renovated look comes with exquisite terrazzo floors, an industrial vibe and a 300-year-old oak slab bar. There are new tours in town – on the water, of course! Wrightsville Beach Scenic Tours will introduce a new weekly tour – Tidal Creek Tuesdays. Join Captain Joe and the crew for a one-and-a-half-hour cruise to Bradley Creek and learn about the environmental factors impacting the Wrightsville Beach area. Epic Excursions will offer oystering excursions for those looking to catch a bushel and a peck. Wrightsville Beach is the perfect escape for visitors in seek of wellness and relaxation. If active vacations are up your alley, embark on a journey to participate in the 10th annual Wrightsville Beach Marathon Madness Weekend, March 8 - 9. The recently named Southeast Tourism Society Top 20 event invites you to qualify for the Boston Marathon and USATF as well as run along a new course that intertwines the beach and the nearby city of Wilmington. Once your 26.2 or 13.1 miles are complete, head back to the beach to relax to the sound of ocean waves.